I am delighted to welcome as a new sponsor Charlotte & Ivy. 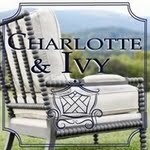 Charlotte & Ivy is a curated web-store with hand picked selections and preppy modern designs. They have been called the J.Crew of home furnishings. 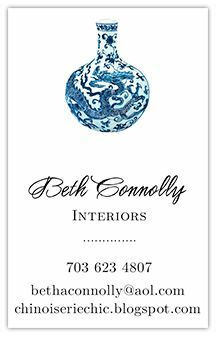 They specialize in beautiful finds, superb rug selection, great beds, and are a little Chinoiserie crazy! Charlotte & Ivy is run primarily by three 30-something designers. After years of working in the design industry, they realized how hard it is for shoppers to find the gorgeous pieces decorators do. Websites are overstuffed with choices and everything blends together. Charlotte & Ivy strives to offer exclusively hand-picked pieces, a luxury boutique experience with the best prices. They shop the marketplaces, scour the antique stores, and work with specialty craftsman to create interesting custom upholstery for their online luxury collection. Whether you love French country, Hollywood glamour, Chinoiserie, or cottage furniture, count on Charlotte & Ivy to help you express your style! Their unique pieces have superior style, value, and design. Charlotte & Ivy thinks customer service is as important as hand-picking hard to find products they'd want in their own homes. They end up doing a lot of personal shopping for people on hard to find pieces too! Right now they are working on gilded beds and Gustavian style bedrooms. 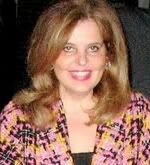 If you are looking for advice or a special item, they can always help. Their first love in decorating was collecting blue and white porcelain and trying to find the perfect Chinese Chippendale dining chair. What is yours? Let Charlotte & Ivy know what you're looking for and they'll find it. They have graciously offered this navy and natural chevron blanket (with a retail price of $170.00) to a lucky follower of Chinoiserie Chic. It measures 60"x 50" and is 100% cotton and made in the USA. To enter, go visit their website and find your favorite piece. Come back and leave one (1) comment on this post telling the piece you love most and where you'd use it in your home. 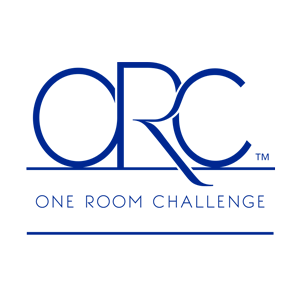 You have until midnight ET on Thursday, May 16, 2013 to enter. The winner of the chevron blanket will be announced on Friday, May 17, 2013. Open to U.S. residents only. This is my favorite piece - The Palace Pagoda Bed. 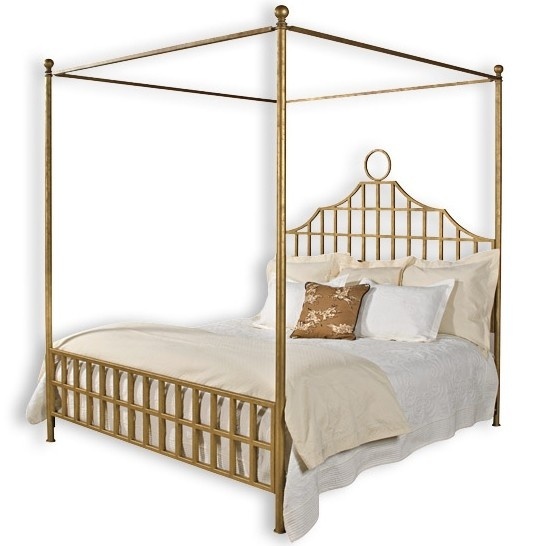 It is very much like my Annie Selke gold leaf pagoda bed that has been discontinued and I get so many emails asking about it! 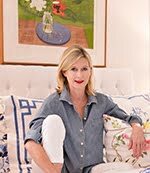 I have also created a Charlotte & Ivy - Chinoiserie Chic Picks Pinterest board where I have been choosing my favorite pieces from their beautiful collection. This could be dangerous, Beth! Bookmarked the site. I adore the bed and the chippendale dining chairs are favorites too. So difficult to choose only one thing, but it would have to be the faux bamboo chandelier. So pretty! Thank you for a chance at winning the chevron throw. I die for the Chinease Chippendale Arm Chair -- the perfect color wood for my dining room! Oh dear, it's all so good! I would LOVE a pair of the Marc X stools. Love them! Thanks for the great giveaway! All of the pieces on this site are so lovely. At the moment, my favorite is the Greek Key Pattern Etched Glass Candle Holders because I have been looking for some new hurricanes for my mantle place! love the Hollywood Regency Gold Floor Lamp and would use it in my living room! i would pick the NAUTICAL KNOTS RUG NAVY in a 5x8. This elegant piece would go in my newly roommate abandoned room in my apaartment...which will now be turned into my new WALK IN CLOSET. a whole bedroom dedicated to my clothes, shoes and inspirations. That chevron blanket is too gorgeous!! Hope you have a wonderful weekend! Loving the handpainted Chinoiserie Chest (SKU# HSA17)!! 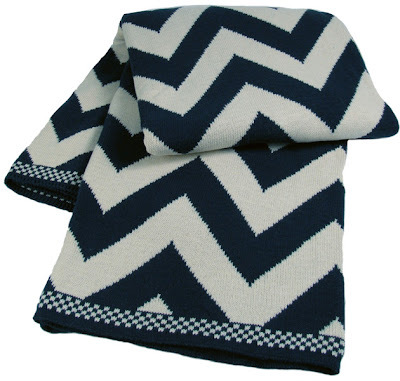 Of course, the navy and white chevron blanket is pretty gorgeous, too. Thanks for the intro to Charlotte & Ivy! This is a beautiful web site. There so many wonderful things that I would love to have. I especially love the blue & white chest. Wow! Beautiful things. I am loving the pair of Ming Dynasty blue and white porcelain jars. 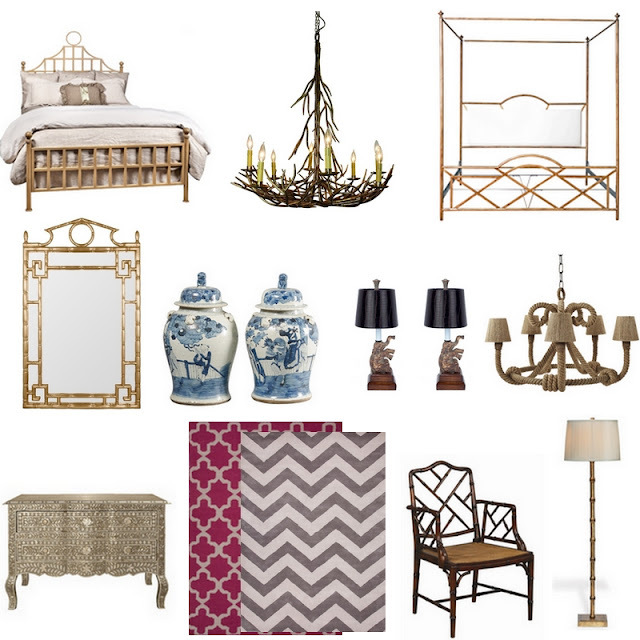 My favorite item is the FRENCH EMPIRE 1920'S ANTIQUE CRYSTAL CHANDELIER...swoon! I'm in love with the navy lattice lamp, maybe even a pair, for a master bedroom refresh. Crisp and bold, with great presense without being too overwhelmong. Very smart! The Lauren Tufted Leather Club Chair is the one that I kept returning to view. It is the perfect color and scale for my ideal family room. I would love to have an ottoman too for the perfect reading spot. My favorite is the Greek Key Glass Console Table. Equestrian midcentury luxury marble console table and the Fretwork mirrored cabinet console. The Eliza midcentury sofa in blue green is sweet too. I love the bone inlaid chest. It would look great in my stairway entry. Very hard to pick because of all the loveliness happening here, but I would choose the Abigail Cantonese Jar to add to my blue and white collection. I love this site- thanks for the tip! I would get the Italian gold twig mirror and use it in my guest bath. Wow, this site could be one of my new favorites. I'm with you on the bed, it's one of a kind. I also loved the decanters and Greek key pedestal bowl, they would look great in my living room. I'd use it in my bedroom! Lovely site. I want the Gold Pagoda mirror. I love it all. I would love the pagoda mirror in the 1/2 bath. Wonderful site! I'm in love with the pink pagoda pillow. I'd use it in my living room. Beth all of their products are so luxe. The small inlaid chest would be fabulous in my entry! I adore this blanket, after all of my surgeries I get chilled often. I choose the Greek key glass console table in gold. I would place it in the entry way of my stark modern all white and glass home in the Hollywood Hills with an incredible mirror above it so that the first thing you see when you walk in would be your beautiful self! Lots of lovely things on the site but especially love the crystal decanters and would put them on my bar cart! What a great site! I love the custom colored Chippendale dining chairs. It would be so fun to do a mix of turquoise and bright yellow chairs in a dining room! I love the chevron blanket. Would put it in my bedroom! I love the gold pagoda mirror. I would use it in my dining room. I love, love, love the Top Sail Bowfront chest...I am not sure where I would put it but I know I would find someplace perfect! I also love the chevron blanket and know that would go on my family room sofa! Want it, love it, got to have it! Oooohh, nice site. I would love the Sea Urchin lamp with the cork shade. it would look great in our new and totally unfurnished beach house! chinese chippendale custom paint chairs! I love them! They would go perfectly in my kitchen, and replace the ratty target chairs that are falling apart! Instant Chic update! Love the pagoda lamps...would be perfect in my guest bedroom in navy or pink! I love the Gold Pagoda Mirror and I'd use it in my powder room -- tres chic!! I absolutely LOVE the new fret design rugs!! The navy fret rug would be fabulous in my living room. Beautiful website! LOVE LOVE LOVE the Hemingway grey toned chairs. WOuld be perfect in my kitchen/den area! Yes PLEASE! Thanks for another great giveaway. I love the Grace Gold Pagoda Barrel Chandelier. I would like it over my kitchen island to glam it up. The website is awesome. I am in love with the MARSEILLES EMPIRE WALL CABINET WASH FINISH. I would place it in my dining room. It is a versatile piece that can be used anywhere. Gorgeous selection, it was so hard to choose! I love the CHEVRON WOOL FLAT WEAVE RUG. It would be perfect in my living room. Been a fan of Charlotte and Ivy forevAR! Love their style mix. So many favorites, but I adore the blue and white scrimshaw lamp. There are so many gorgeous things on their site! I especially love the 'Gold leaf Mirrored coffee table'. Would love to win the chevron blanket! I love everything they have! What an awesome store! It is next to impossible to just pick one thing, but I guess I would choose the Nautical Knots rug in navy. Then it would coordinate beautifully with the throw that I have wanted SOOOO badly for such a long time!